I was entertaining a guest the other day and after spilling a cosmo all over my living room while chatting about the holidays, he looked at me and said, "Josh, you're a grinch." I stopped drinking and reflected for a moment...a grinch...me? Sure, many of my friends will tell you that the winter holiday season is not a shining star on my horizon, but does that denote grinch status? I don't think so. In fact, I find myself rather festive this year compared to some. I was quick to point out to my friend the presence of a Festivus tree [plant] aptly decorated in my living room. 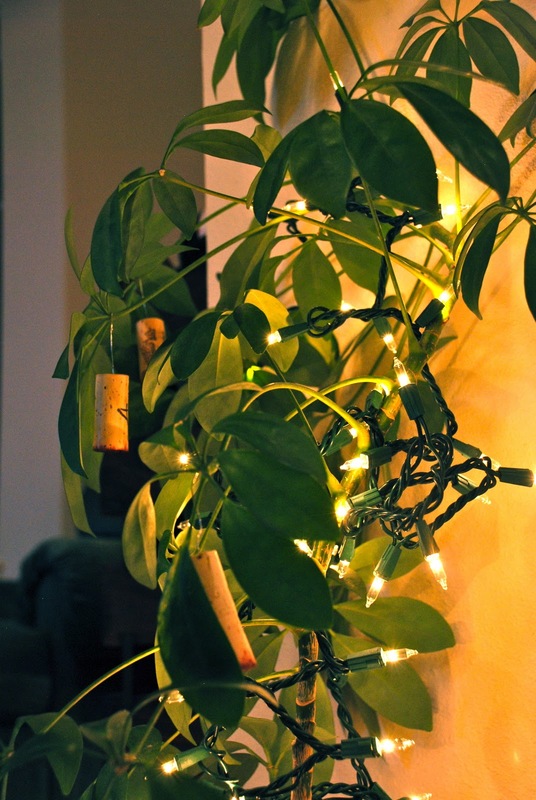 Sure, it isn't the traditional Festivus pole, but you can't hang wine corks from a pole. For further evidence of my non-grinch status, I directed him to my fridge where there was not one, not two, but three winter ales present. With names like Sleigh'r and Jolly Roger Christmas Ale, I think the Gana domicile is a pretty damn merry place. And a beer label with a skull and cross bones, donned in a santa hat, on a pirate flag? Ho ho ho. So Santa wasn't coming that evening and it wasn't in fact an emergency, but Maritime Pacific Brewing Company's Jolly Roger Christmas Ale was on the docket and I'm couldn't have been happier with that decision. According to the company, "Maritime Pacific Brewing Company is our small, family-owned brewery, established in 1990. As traditional home port to Northwest mariners, the Ballard district of Seattle provides us the perfect setting for a brewery with a seafaring name and tall ship as its emblem...At Maritime Pacific, we brew truly handcrafted ales and lagers, enhancing the traditional recipes to produce unique beers for the Northwest taste. Added to a fleet of year-round favorites are specialty seasonal beers, providing the enthusiast with an ever-changing choice of beverage to refresh the beer-drinking soul." Did I mention I live in Ballard? Right down the street...perfect for WestToast's Winter Beer Month. Appearance: A goldish-copper with minimal head on the pour. A lighter beer, if you decide to hold it up to a light instead of pouring it into your mouth you'll see through this one. Smell: This beer smells as hoppy as Hop-Along Cassidy. I don't really know who that is, buts I like the alliteration. Jolly Roger, unlike most pirate hobos, has a crisp, clean smell with a hint of sweetness. Taste: There's a moderate happiness with caramel and malt that hits mid-palate. I got a nice smooth mouthfeel with a tangy, slightly boozy finish. The heat from the winter warmness lingers down into the chest. Before I knew it, the bottle was gone and I wanted another. At 8% ABV, you have to watch out for that! I really enjoyed this one, both from the bottle and out draught a few days later in a pub. I believe that I paid $7.99 for a six-pack from the local grocery store. A word to the wise, the 22oz bottle was also $7.99...so your beer to dollar ratio is much greater by the six-pack!